Dead Ringers is a 1988 Canadian-American psychological horror film starring Jeremy Irons in a dual role as identical twin gynecologists. David Cronenberg directed and co-wrote the screenplay with Norman Snider. Their script was based on the lives of Stewart and Cyril Marcus and on the novel Twins by Bari Wood and Jack Geasland, a "highly fictionalized" version of the Marcus' story. The film won numerous honors, including for Irons' performance, and 10 Genie Awards, notably Best Motion Picture. Toronto International Film Festival critics have ranked it among the Top 10 Canadian Films of All Time. Elliot and Beverly Mantle are identical twins and gynecologists who jointly operate a highly successful clinical practice in Toronto that specializes in the treatment of female fertility problems. Elliot, the more confident and cynical of the two, seduces women who come to the Mantle Clinic. When he tires of them, the women are passed on to the shy and passive Beverly, while the women remain unaware of the substitution. An actress, Claire Niveau, comes to the clinic for her infertility. It turns out that Claire has a "trifurcated cervix", which means she probably will not be able to have children. Elliot seduces Claire and then urges Beverly to sleep with her. However, Beverly becomes emotionally attached to Claire, and this upsets the equilibrium between the twins. Beverly also begins sharing Claire's abuse of prescription drugs, which he abets through his doctor's authority. When Claire learns that Elliot has been taking sexual advantage of her by impersonating Beverly, she is angry and confronts them both in a bar, but later decides to continue a relationship with Beverly exclusively. Eventually, Claire leaves town to work on another film. This sends Beverly into clinical depression, more prescription drug abuse, and paranoid delusions about "mutant women" with abnormal genitalia. Beverly seeks out metallurgical artist Anders Wolleck and commissions a set of bizarre "gynecological instruments" for operating on these mutant women. After Beverly assaults a patient during surgery with one of Wolleck's tools, both brothers are immediately suspended from practice and put on administrative leave by the hospital board. With their medical career now ruined, Elliot locks Beverly inside the clinic and tries to clean him up, taking pills himself in order to "synchronize" their bloodstreams. When Claire returns, Beverly leaves the clinic to be with her. After recovering his sobriety, he is concerned about his brother, and goes back to the clinic. There he finds the clinic in shambles and Elliot despondent and intoxicated. Their positions are reversed as Beverly cares for Elliot. Drugged and despairing, they celebrate their mock birthday and Elliot volunteers to be killed, "to separate the Siamese twins". Beverly disembowels Elliot on an examination couch with the same claw-like instrument of Wolleck's that he had used to assault his patient in the operating room. Shortly after, Beverly pulls himself together, leaves the clinic and calls Claire on a pay phone. When she asks, "Who is this? ", Beverly leaves the phone, walks back into the clinic and lies in Elliot's dead arms. Although Dead Ringers closely follows the case of Stewart and Cyril Marcus, director Peter Greenaway notes that Cronenberg queried him about his film A Zed & Two Noughts for two hours before going on to make Dead Ringers eight months later. In his DVD commentary, Irons claims that Robert De Niro declined playing the Mantles due to his unease with the subject matter and portraying gynecologists, while William Hurt decided to reject the parts because "it is hard enough to play one role". This movie marked the screen debut of actress Jill Hennessy and her twin sister Jacqueline, who play call girls in one scene of the film. Irons was given two different dressing rooms with two sets of costumes for playing his two characters. However, given the fact that he said "the whole point of the story is you should sometimes be confused as to which is which", he chose to use only one of the rooms and combine different costume items intended for different characters. Irons also developed an "internal way" to portray each character, employing the Alexander technique for "different energy points", giving each character his own appearance. A second dream scene was also shot which featured a parasitic twin emerging from Beverly’s stomach but this sequence was not used in the final cut. On review aggregator Rotten Tomatoes, the film has an approval rating of 82%, based on 39 reviews, and an average rating of 7.6/10. The website's critical consensus reads, "Dead Ringers serves up a double dose of Jeremy Irons in service of a devilishly unsettling concept and commandingly creepy work from director David Cronenberg. "Roger Ebert gave the film two and a half stars, writing "it's like a collaboration between med school and a supermarket tabloid", and said it was challenging but interesting for his female friends to view. Ebert also credited Irons for making each twin unique. Variety said Irons portrayed his characters with skill. In The Washington Post, Desson Howe assessed it as "unnerving but also enthralling". For the same paper, Rita Kempley called it "every woman's nightmare turned into a creepy thriller", adding it was "like slowing down to look at a traffic accident, afraid you might see something. It's really sordid stuff that becomes ridiculous, painful, unbelievable and tedious". It is the favorite Cronenberg film of Korean director Chan-wook Park and was voted for in the 2002 Sight & Sound poll by Lalitha Gopalan. In 1999, Rolling Stone listed Dead Ringers as 95th on their list of "100 Maverick Movies". Total Film placed Dead Ringers 35th on their list of the "50 Greatest Horror Movies of All Time" while Entertainment Weekly placed it 20th on their list of "The 25 scariest movies of all time". It was named one of "The Top 10 'True-Story' Horror Movies of All-time!" by Bloody Disgusting. In 1993, the Toronto International Film Festival Group compiled a Top 10 Canadian Films of All Time list, with festival director Piers Handling writing a lack of Cronenberg films was significant, and that Dead Ringers and Videodrome divided voters, causing neither to win a place on the list. Dead Ringers afterwards ranked sixth in the 2004 update, and seventh in 2015. 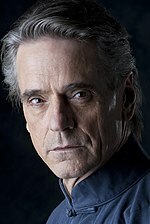 Irons won critics groups' Best Actor awards for Dead Ringers, and when he won the Academy Award for Best Actor in 1991 for Reversal of Fortune, he thanked Cronenberg in his acceptance speech. ^ "Dead Ringers (18)". British Board of Film Classification. September 26, 1988. Retrieved November 9, 2014. ^ Melnyk, George (2004). One Hundred Years of Canadian Cinema. University of Toronto Press. ISBN 0-8020-3568-X. ^ "Dead Ringers (1988) - Box Office Mojo". Box Office Mojo. Retrieved March 18, 2010. ^ Maslin, Janet (October 2, 1988). ""Ringers": the Eerier, the Better". The New York Times. ^ "October 2004 - Online Q&A with director Peter Greenaway". The Plasma Pool. Retrieved March 4, 2015. ^ a b Mcgue, Kevin (October 7, 2010). "Dead Ringers Review". A Life At The Movies. ^ Browning, Mark (2007). David Cronenberg: Author or Filmmaker?. Intellect. p. 99. ISBN 9781841501734. ^ "Dead Ringers (1988)". Rotten Tomatoes. Fandango Media. Retrieved December 6, 2018. ^ Ebert, Roger (September 23, 1988). "Dead Ringers". Rogerebert.com. Retrieved April 12, 2017. ^ Variety Staff (December 31, 1987). "Review: 'Dead Ringers'". Variety. Retrieved April 12, 2017. ^ Howe, Desson (September 23, 1988). "Dead Ringers". The Washington Post. Retrieved April 12, 2017. ^ Kempley, Rita (September 23, 1988). "Dead Ringers". The Washington Post. Retrieved April 12, 2017. ^ Neil Young's Film Lounge (August 22, 2004). "Park Life". ^ Travers, Peter (December 30, 1999). "100 Years, 100 Maverick Movies". Rolling Stone. Retrieved April 12, 2017. ^ "Shock Horror!". TotalFilm.com. October 10, 2005. Retrieved February 23, 2011. ^ "The 25 scariest movies of all time". Entertainment Weekly. February 19, 2011. Retrieved February 23, 2011. ^ "BD Horror News - The Top 10 'True-Story' Horror Movies of All-time!". Bloody-disgusting.com. June 7, 2008. Retrieved February 23, 2011. ^ Handling, Piers (Fall 1994). "Canada's ten best". Take One. p. 23. ^ Gravestock, Steve (June 26, 2015). "Essay". Toronto International Film Festival. Archived from the original on July 4, 2016. Retrieved August 28, 2016. ^ "Atanarjuat voted No. 1 Canadian film of all time". CBC News. April 24, 2015. Retrieved August 29, 2016. ^ "100 Essential Male Film Performances - The Dark Side". PopMatters. July 28, 2009. ^ "Chicago Film Critics Awards – 1988–97". Chicago Film Critics Association. Archived from the original on December 17, 2012. Retrieved July 21, 2015. ^ "Genie Award Nominees 1989". Cinema Canada. February – March 1989. pp. 27–35. ^ "Dead Ringers". The Canadian Encyclopedia. Retrieved April 11, 2017. ^ "14th Annual Los Angeles Film Critics Association Awards". Los Angeles Film Critics Association. Retrieved April 11, 2017. ^ Carr, Jay (January 9, 1989). "National Critics Choose 'Lightness'". The Boston Globe. Retrieved April 11, 2017. ^ Maslin, Janet (December 16, 1988). "'Accidental Tourist' Wins Film Critics' Circle Award". The New York Times. Retrieved April 11, 2017. This page was last edited on 23 March 2019, at 15:08 (UTC).